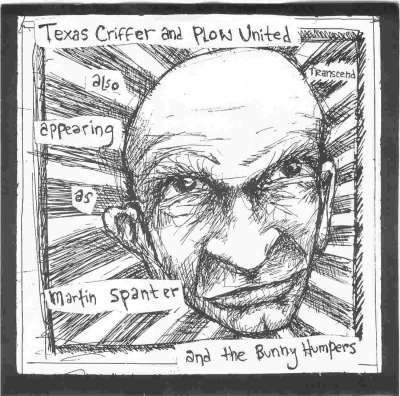 FOE 012 Plow United "Texas Criffer" 7"
1,000 copies on black vinyl featuring "Selling Pretty Poisons", "Bottled Up", "Road Less Travelled" and "Routine (pot)". 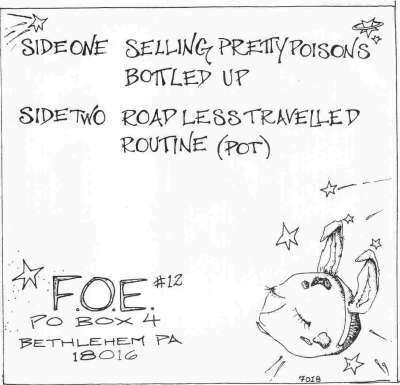 This Plow United lineup featured the regular cast (Brian McGee, Joel Tannenbaum and Sean Rule) along with Christopher Neumann from the legendary Philadelphia punk band 2.5 Children. All of the songs were written by Christopher. Recorded by Arik and Mike. Photos by Anne Marie Dillard and Bob Hart. Cover artwork by Christopher Neumann.